A tiger can’t change its stripes, some say. Which is why it’s perfectly natural to be skeptical when a generic vape importer like Grenco Science ships a new product and calls it a “monumental leap in technology.” I mean, the original G Pen is an Ego-W wrapped in Long Beach stickers. The G Pro is a Titan. The Micro G is likely an Ovale elips-C. Many vaporizer companies are building a brand by selling logoed generics, and that’s totally fine, but it’s also confusing, especially to the newly initiated. Obviously it makes little sense for a vape seller to tell you its pen is the same pen everyone else sells. So, conversely, white-label vape companies say their pen is the newest, shiniest, most innovative, highest quality pen since the ballpoint. Usually, they are not nearly as great as the marketing language suggests. But Grenco Science is trying to break its mold, to evolve into a company that sells original products, in addition to white-label generics. Its newest offering, the G Pen Elite, is a design unique to Grenco. Can you believe that? Changing its stripes? First off, a round of applause for elevating your game, Grenco. Seriously, a switch from bulk ordering off Alibaba (or wherever) to bringing an original product to market is a massive step. Kudos are in order. You’ve earned your Cannabis Yacht Club membership card. Designed for flowers, the GPen Elite stands 3.4 inches tall, 1.2 inches wide and 1 inch deep. The form factor is great. It’s comfortable to hold. The body is black plastic with a removable silicone cover wrapping the mouthpiece. Click the circular power button on the front five times to turn it on — but not actually heating — and a “G” logo lights up white near the bottom. The side features an LED screen that displays the temperature and a battery life indicator. Above that screen sit two buttons for adjusting temperature. Hold the front power button for one second to start the heater. 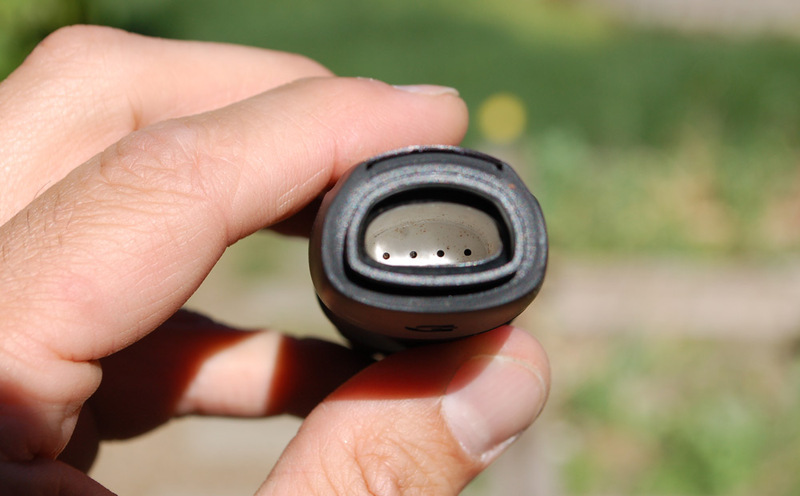 Pop off the mouthpiece to expose a ceramic heating chamber that holds about 0.75 grams of cannabis. Grenco claims the unit is a convection vape — meaning it’s primarily the hot air passing through the chamber that heats the herb, not the fact that the herb is touching hot ceramic walls — which isn’t really the whole story. Most vaporizers utilize both conduction (hot surface) and convection (hot air), but one type of heat dominates. The controversy: Is vaping still the ‘dumbest thing ever,’ or is resistance futile? My first vaporizer was a Vriptech Pro with a Steinel digital heat gun, which is basically a glass bong with a special conical glass attachment for a heat gun. 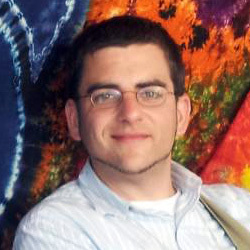 It was a gift from medical cannabis author and activist Martin Martinez — the first person to successfully raise a cannabis medical necessity defense in Washington State — and the Lifevine Collective, for whom I did tech work at the time. Despite occasionally burning myself, the rig was amazing, and it was absolutely a convection vaporizer. It relied on hot air to heat the herb, and the glass bowl infrequently reached vape temperatures. If your cannabis touches a surface hot enough to produce visible “vapor,” that’s conduction heat. If it’s not touching a hot surface and cannabinoids are volatilizing into the air and into your lungs, that’s convection heat. For most cannabis consumers, this is likely a non-critical difference, but since the marketing material brought it up, I think it’s fair for pedantic potheads like me to critically analyze. For a real-world silly stoner test, I jammed the tip of my finger against the ceramic at 400 degrees and — holy crap that’s hot! 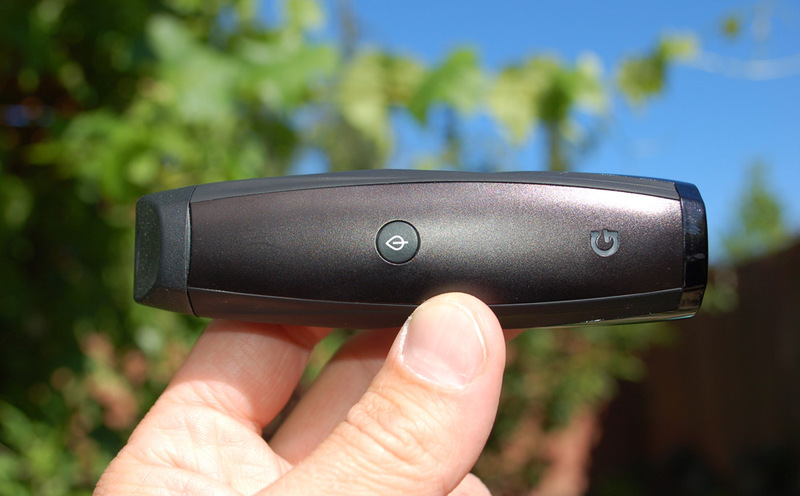 — I am convinced conduction is working as much as convection heat in the G Pen Elite. Science debates aside, this GPen works pretty well. It heats up to a maximum of 428 degrees Fahrenheit within 30 seconds and maintains steady temperature. It produces tasty clouds of vapor, and I don’t get any weird plastic-y flavors sometimes found in budget re-branded vapes. It’s like someone told the factory, hey, don’t put plastic on parts that get super hot. And that’s appreciated. To get decent clouds requires a fair amount of draw. My basic measure of this is to take a full, deep breath. I can fill my lungs in 2 or 3 seconds. Some slow-drawing vapes lengthen this inhalation to 20 or 30 seconds, and the G Pen Elite takes me 30-45 seconds to take a complete draw. And that’s drawing pretty hard. The mouthpiece appears to be the airflow restrictor, with about 30 pinholes that can get clogged and make the draw even harder. That airflow restriction seems a necessary evil, since the heating chamber is at the top of the unit just before your mouth, so the air is pretty hot. It’s actually uncomfortably hot if you direct it too close to your lips. I quickly learned to angle the mouthpiece so the hot air doesn’t immediately hit my soft tissues. Minimal cooling seems to be the trade-off for getting such a small size. Despite not being able to comfortably take full-breath hits, the short, hard puffs on the G Pen Elite are pretty effective. I took it camping and was pleased with its portability, functionality and discreet design. You won’t worry about offending sensitive rangers with your obvious pot paraphernalia. For all they know it’s a music player or a kitchen tool or some other modern plastic widget. The GPen is small enough to fit in a pocket, and you can actually toke while hiking — because who really wants to stop to look around — which is sometimes a challenge with a glass pipe or larger vapes. 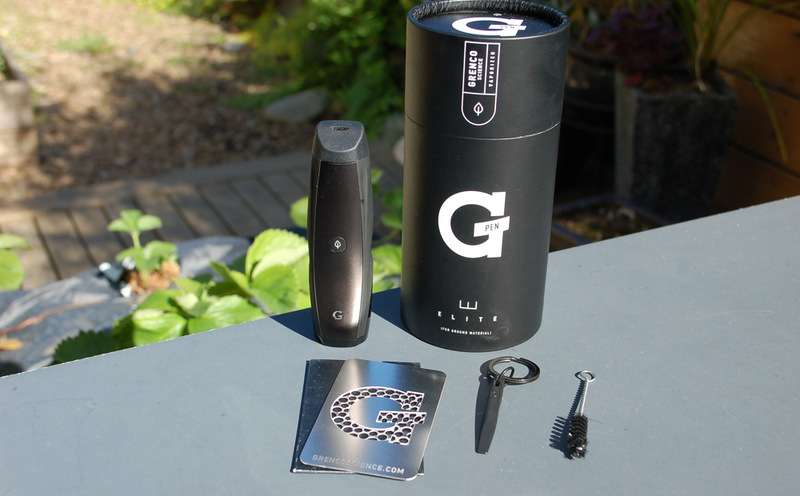 There are better portable vaporizers, but most run $100 more than Grenco’s G Pen Elite. If you are budget conscious and looking for a super-portable flower vape, the G Pen Elite is a good option. It’s definitely a step up from the uninspired white-label generics flooding the market. Hopefully, Grenco Science has changed its stripes permanently, and we can expect more original designs to come. The G Pen Elite retails for $169.95 from Vape World, who were kind enough to provide a demo unit.